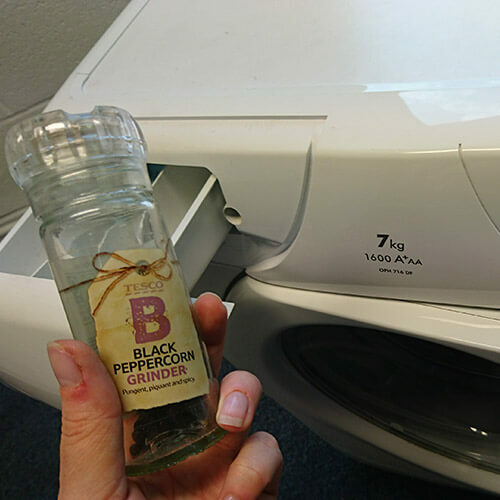 Keep black jeans and other black clothes black by pouring a couple of cups of strong brewed coffee into the washing machine during the wash. 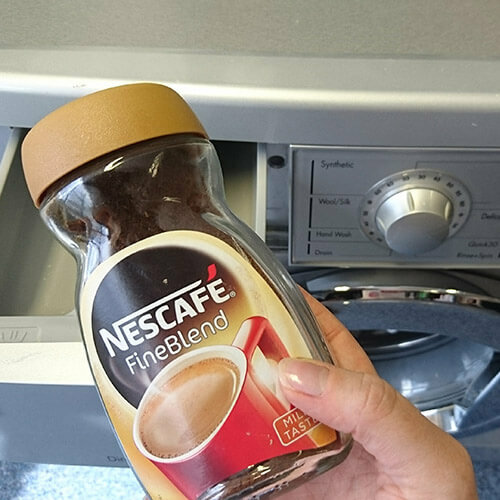 This method works best if you add the coffee during the rinse cycle and on cotton clothes rather than synthetic fabrics. Make sure there are no pale clothes in the wash! 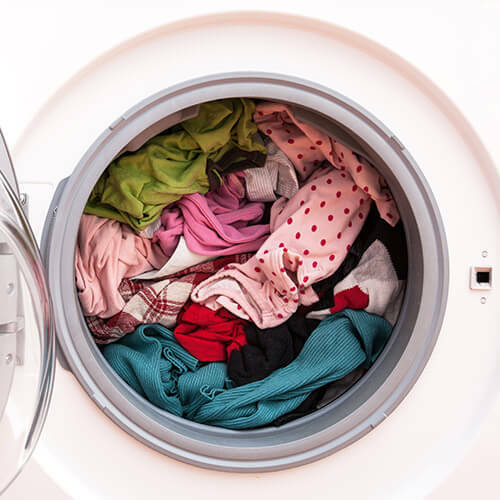 Washing machine filters catch debris like fluff or hair pins that have been washed out of the pockets of clothes and ended up inside the washer. 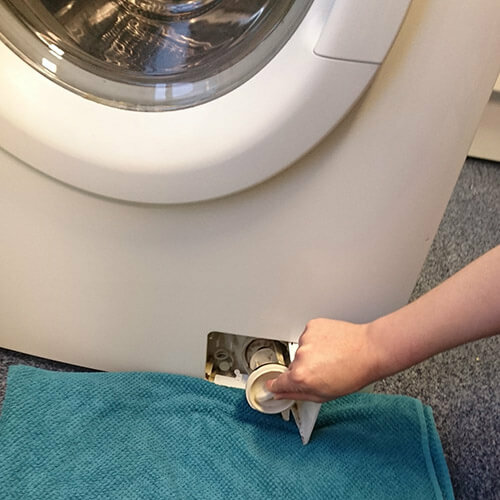 Clean out your filter from time to time to keep your machine running smoothly, but before you do, put an old towel down to catch any excess water that flows out. Mould loves damp areas so after a wash when the soap dispenser drawer is nice and damp dreaded mould spores will slowly start to multiply. The answer? Save old washing up brushes and use them to scrub out your washing machine soap dispenser drawer whenever it starts to get smelly or mouldy. To help prevent said mould from building up in the first place, there’s a simple solution. 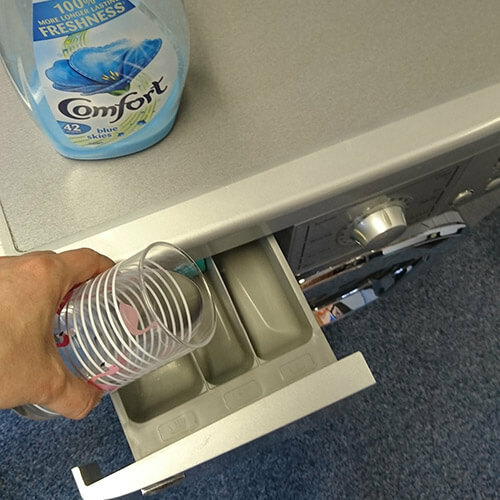 After each wash, remove the dispenser drawer, rinse off any undissolved detergent and leave it to dry. 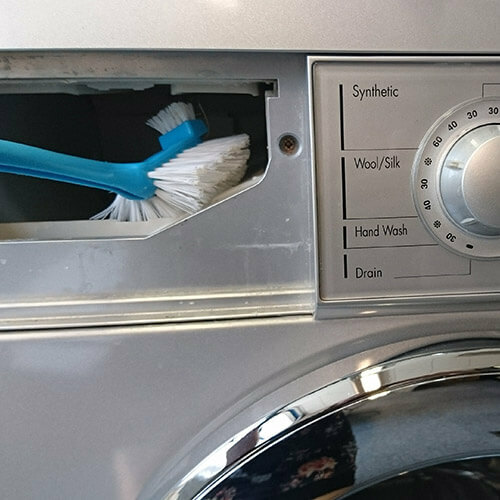 Keep the door of your washing machine open too to stop mould forming inside your appliance or in the door seal. If you love to wear bright clothes it’s rather devastating when they fade and lose their former glory. The way to stop the fading has been sitting in your kitchen cupboards all along. Add a tablespoon of ground pepper to your wash to cut through the detergent residue that causes fading. 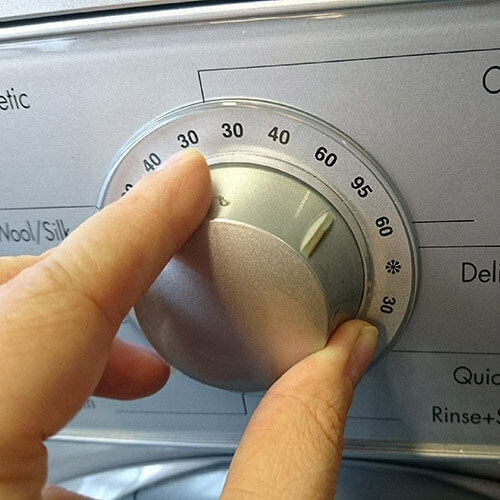 Once a month, run your washing machine on the hottest wash with no detergent or clothes in it to dissolve any excess detergent and bacteria that can cause smells. Even better, use a dedicated cleaning product like our very own washing machine cleaner to remove harmful limescale build ups too. 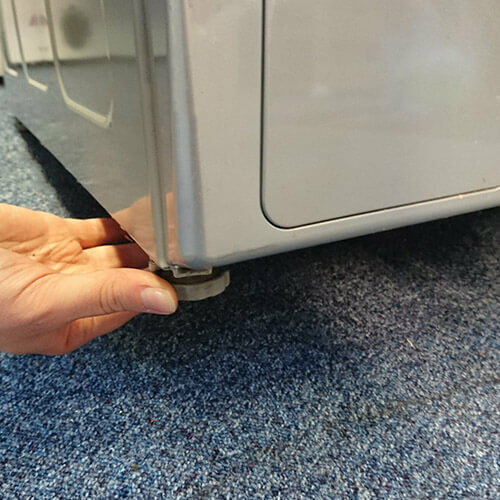 Wobbly washers aren’t just annoying; the internal parts in unsteady machines will be subject to more wear and tear so the appliance is likely to break down more quickly. Not an ideal scenario! 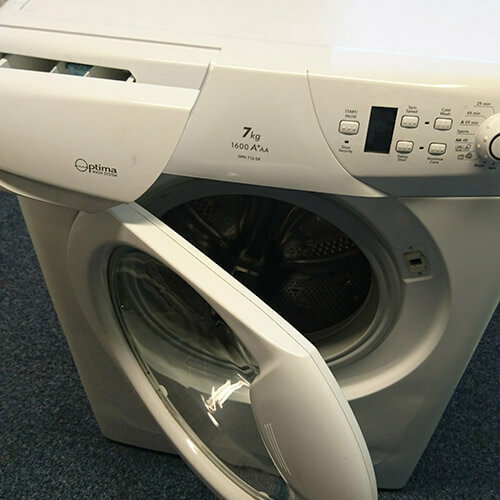 Adjust the feet of a wobbly washing machine by twisting them to prevent excess rocking during the spin cycle. Put too much powder in your washer and before you know it the drum is soapsud city. Too much foam can actually trigger an error as your washer thinks it’s overfilling with water. Pour in a capful of fabric conditioner dissolved into a glass of warm water to disperse the suds then run an extra rinse cycle. 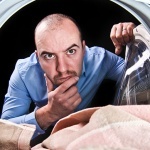 A little-known fact is that putting just one heavy item in your washing machine can cause problems. The machine will not be able to balance the clothes around the drum so it will spin noisily, shake and the parts inside it can get worn. Make sure there’s always more than one heavy item in your washes to prevent this. 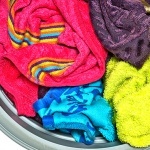 Another common cause of unbalanced loads is washing getting bunched up in a big tangled ball. 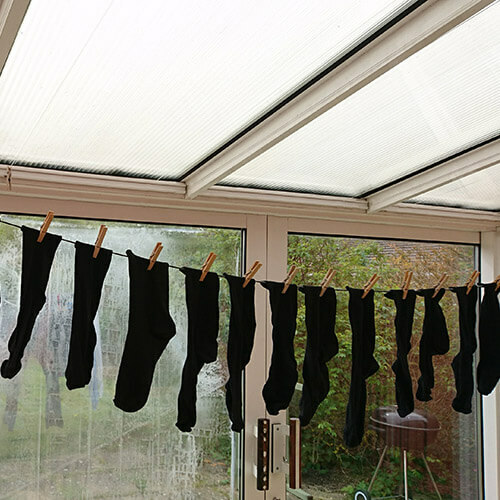 To stop bras or tights (which are the usual culprits) tangling up the wash, put them into a washable mesh bag and place them in with your clothes. Added bonus: a bag will also keep your socks in nice even pairs. Take these tips for a spin and let us know how you get on via the comments below. Want more tricks? See our hair dryer hacks and you’ll be dying to get drying.